It is officially official! July 11th marks our first concert of the 2013 Subaru Summer Concert Series! As always, we are truly grateful for the sponsors who help us put on this annual fundraiser for both the Wenatchee Valley community and out-of-town visitors. 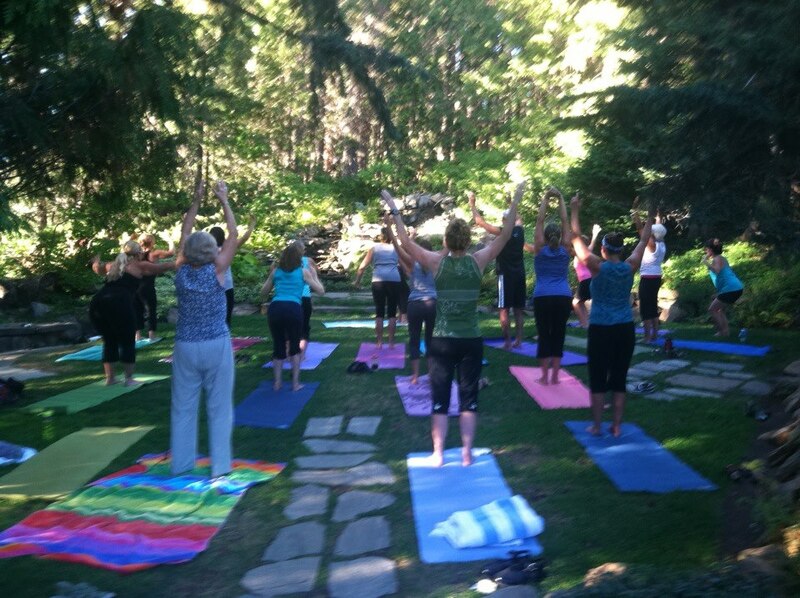 Enjoy live music from some of the area’s most entertaining performers in the lush serenity found only at Ohme Gardens! Food and beverages available for purchase by Tastebuds. For information on advance tickets, please click here. A perfect combo to wrap up our Summer Concert series and to celebrate our beloved summer has been found! 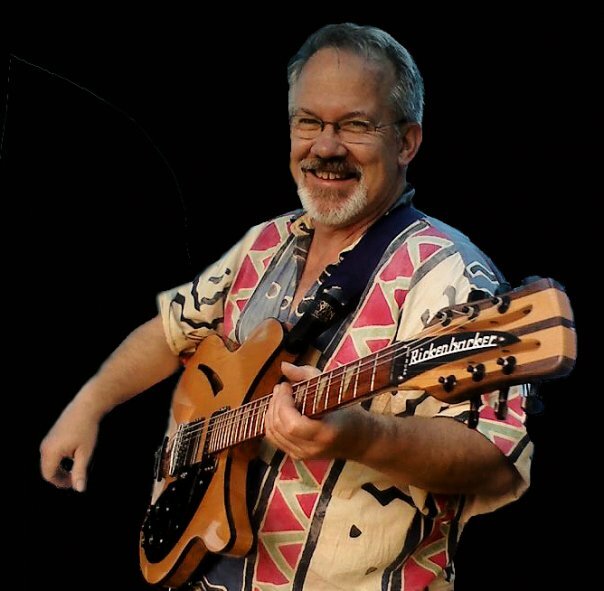 It’s time to kick back, relax, and listen to the Kevin Jones Band (who are all about “Fun, not work!”) and Brian Ohme of SumGuy (“Sum basic philosophy: Life is too short to be taken seriously; mistakes lead to the unexpected, and that’s where life really happens. In other words… c’mon, let’s go!”). Couldn’t (and wouldn’t try to) say it better myself. So join us this Thursday, August 9th for our FINAL Subaru Summer Concert in the Gardens… and a howlin’ good time! The show starts at 6:30pm. More information about the Subaru Summer Concert Series here! 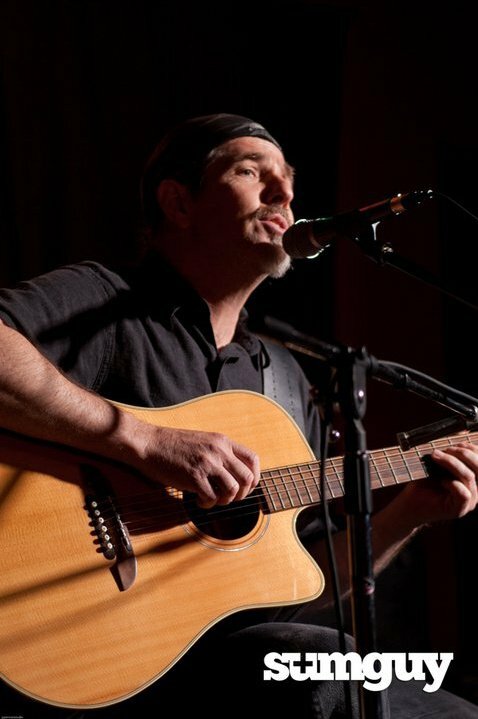 Listen to a clip of the Kevin Jones Band performance here, performing a Smokey Robinson cover, “Tracks of My Tears”. For a taste of Sumguy music, click here. If you’ve been watching the Olympics this week, you’ve seen some serious talent from all over the world! 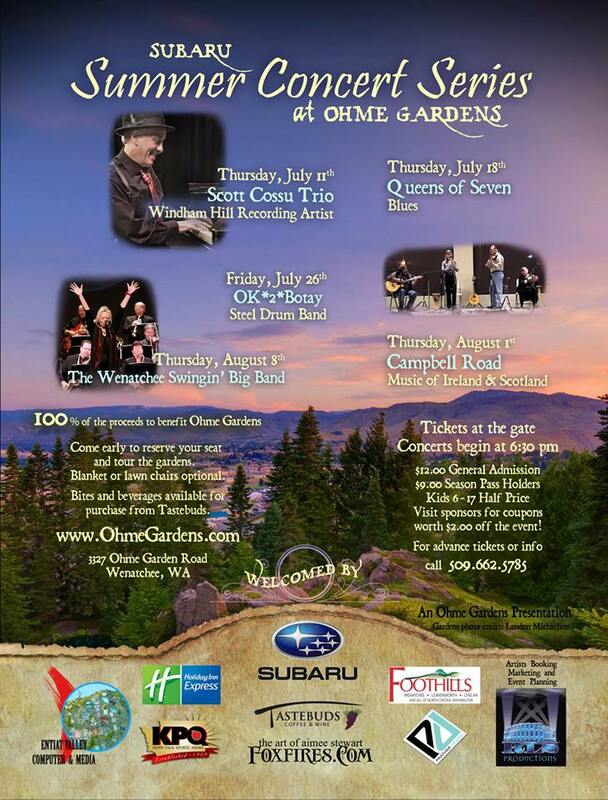 This week, Ohme Gardens welcomes serious talent from Tri-Cities, returning for another year to perform at our Subaru Summer Concerts in the Gardens… give it up for the OK2Botay Steel Drum Band! Ok2Botay means “okay to dance”! The band is made up of youths, grades 6 to 12, and has been one of Ohme’s most popular performances the last few years. 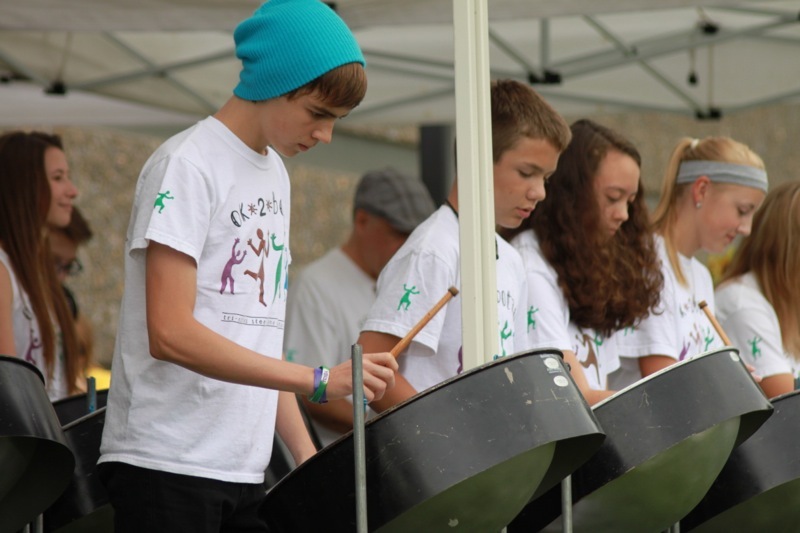 The junior steel drum band is directed by Ben Legget, who also arranges and writes music for the group. Listen to OK2Botay play at the World Beat Festival in Salem, OR. You can watch them yourself at Ohme Gardens on Thursday, August 2nd at 6:30pm! Our friends from Tastebuds Coffee & Wine will have tasty treats and drinks for sale, and as always – Ohme Gardens passholders get discounted admission. Visit our website for more details! More about the Tri-Cities Steel Band Association here. 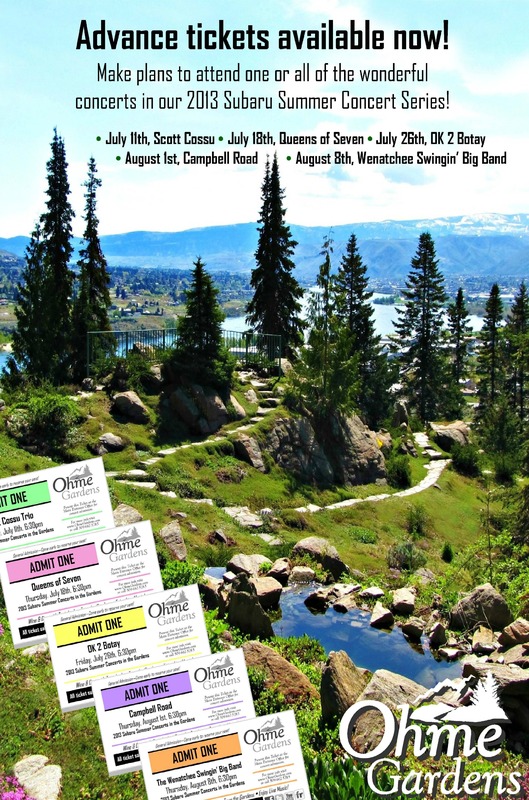 Tuesday, July 24th, is the opening night performance for the Wells House Players of Wenatchee, who will once again grace us with their talents and showcase Shakespeare’s As You Like It. The Garden Party of the Summer! Dungeness crab Agnolotti in a fresh thyme-butter sauce… Crostini with blue cheese ricotta with pear and honey drizzle… Hand-cut tenderloin bites with plum chutney… Blackened Shrimp on Cheesy Polenta… Dark Chocolate Cayenne Truffles… Oaxaca seared scallop with house pickled radishes, red onion and fresh citantro… Roasted apricot and lavender tarts with whipped cream… Fresh local pears poached in Baroness’ Englewein Gluhwein, served on crostini with local goat cheese and scallion…. And we haven’t even started on the wine! !